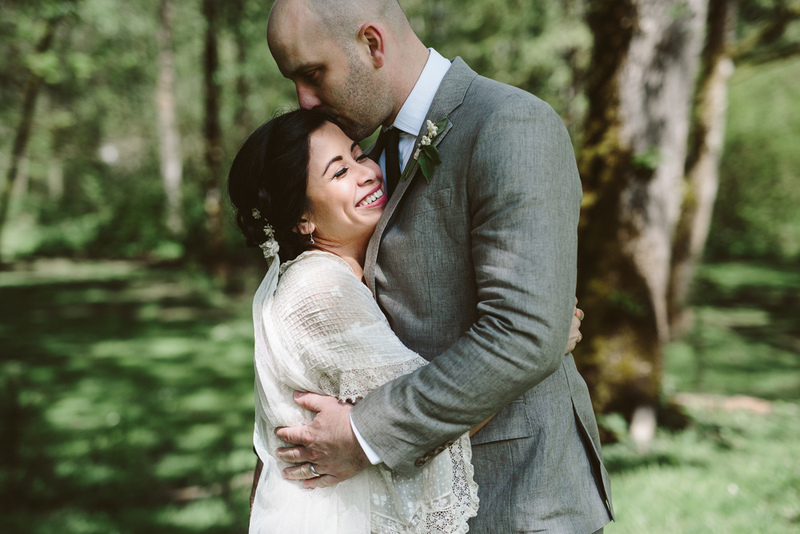 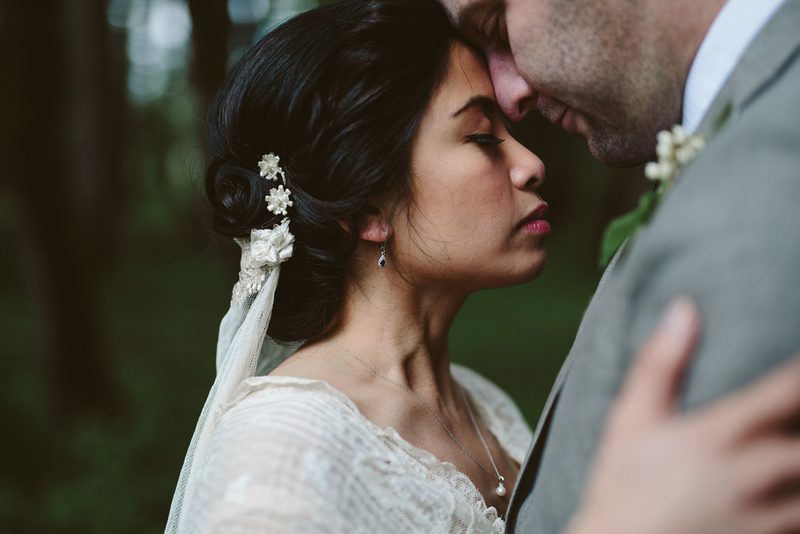 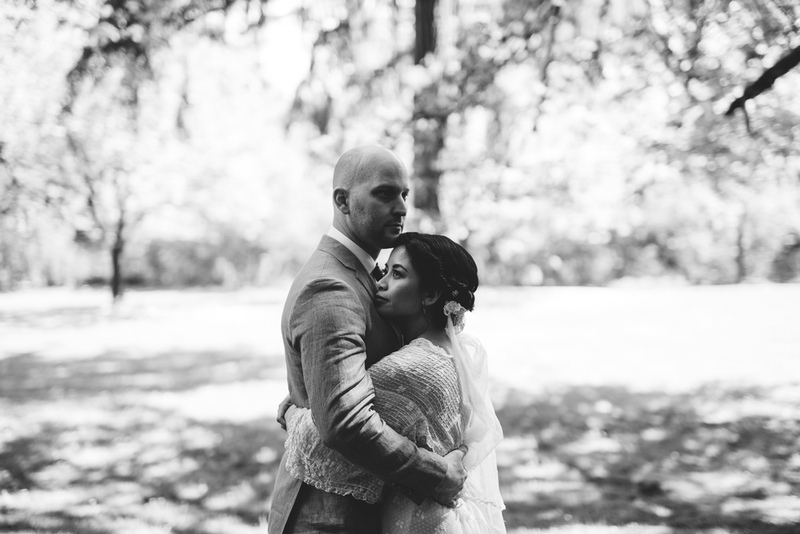 It was an honor to be a part of these two's intimate wedding in Portland. 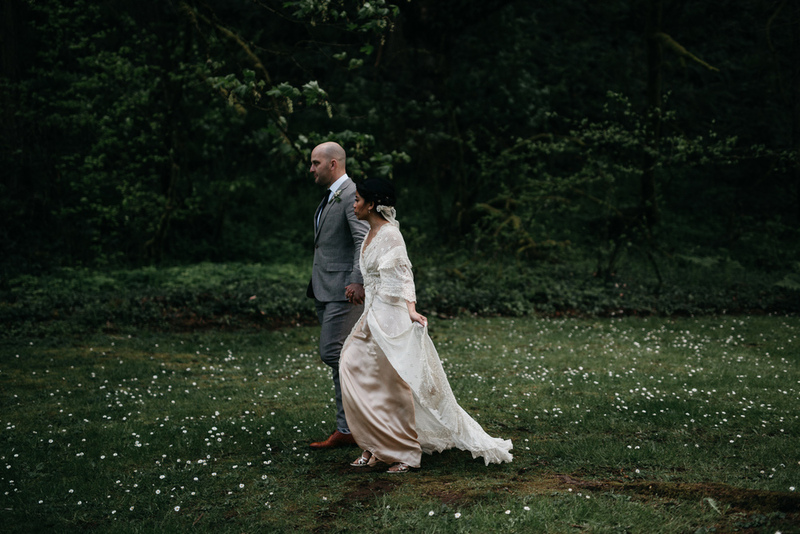 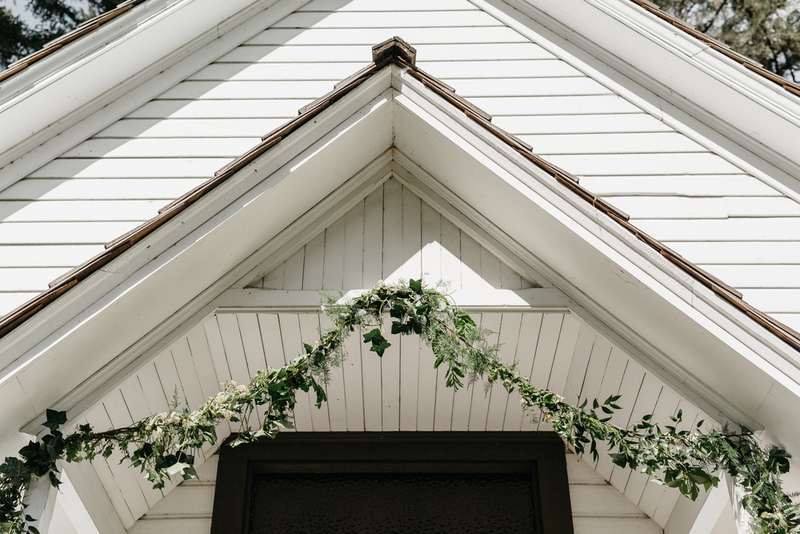 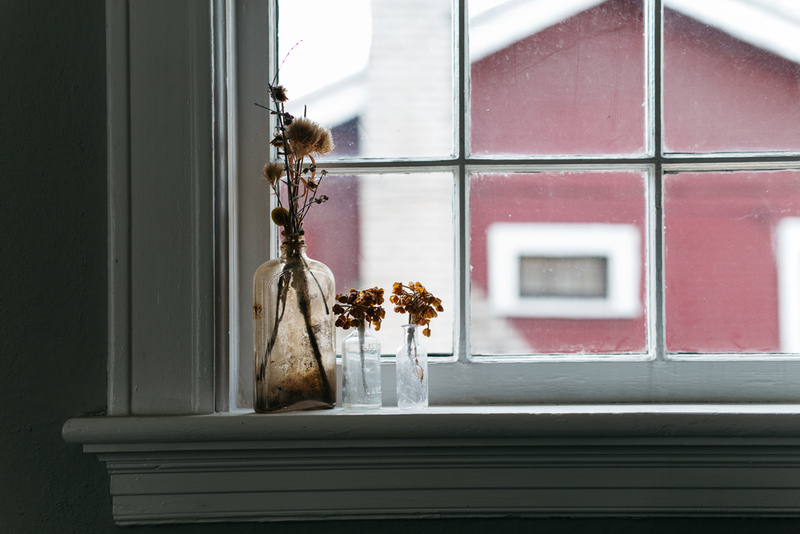 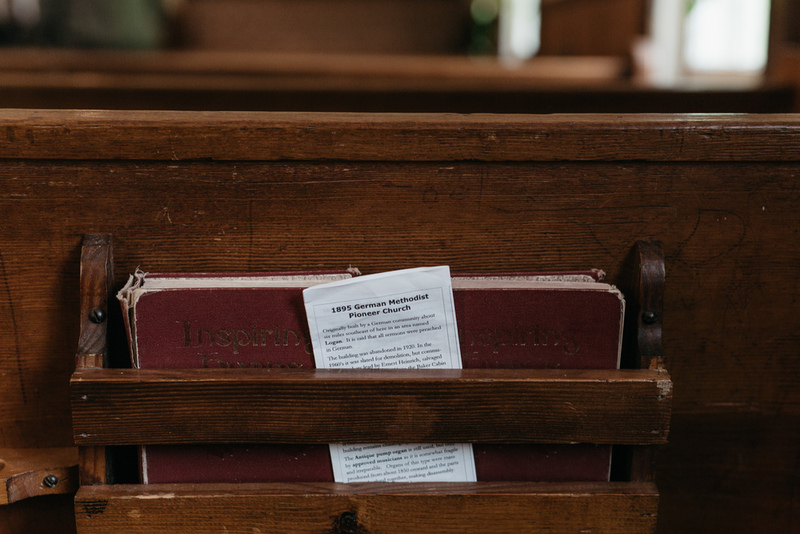 They were married in an old Pioneer Church, rich with history and nestled on a hill covered in wildflowers. 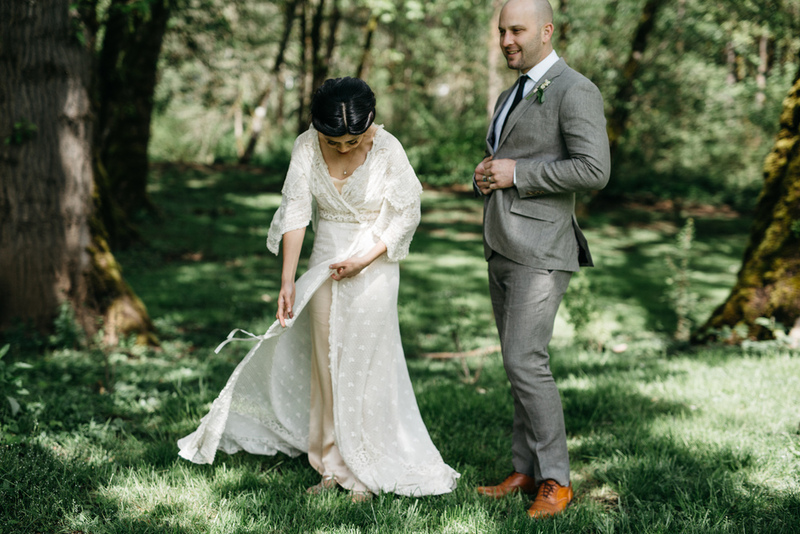 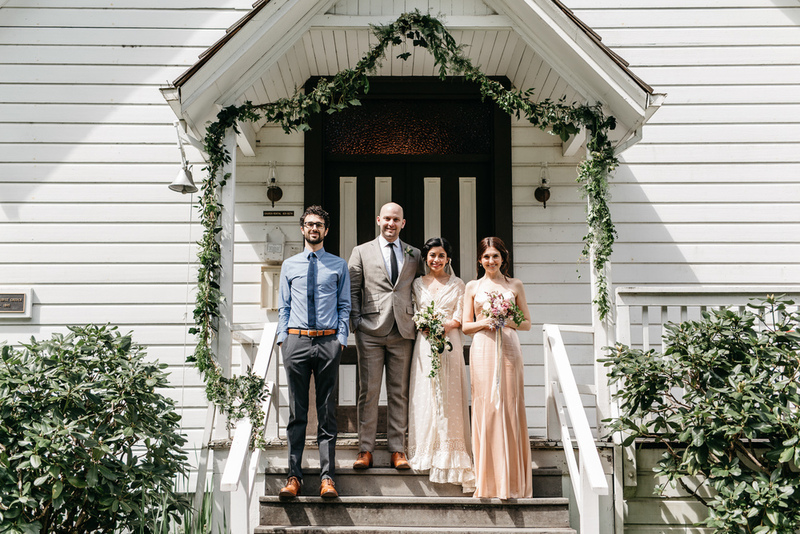 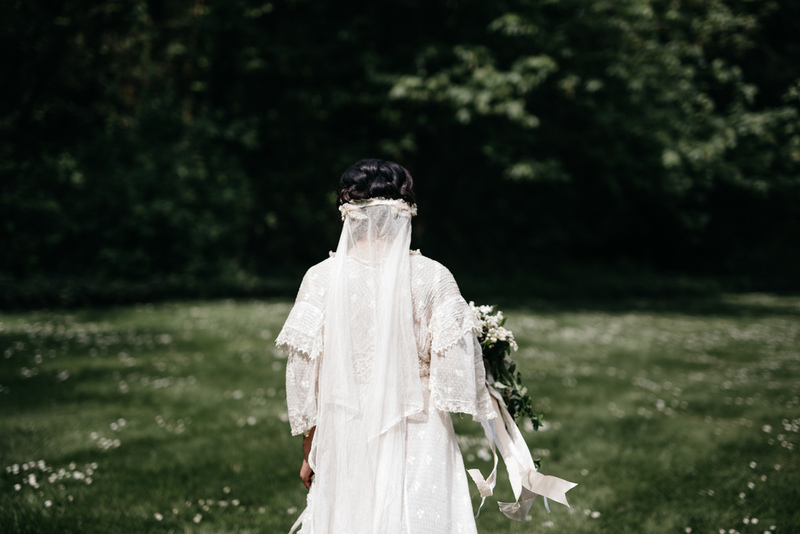 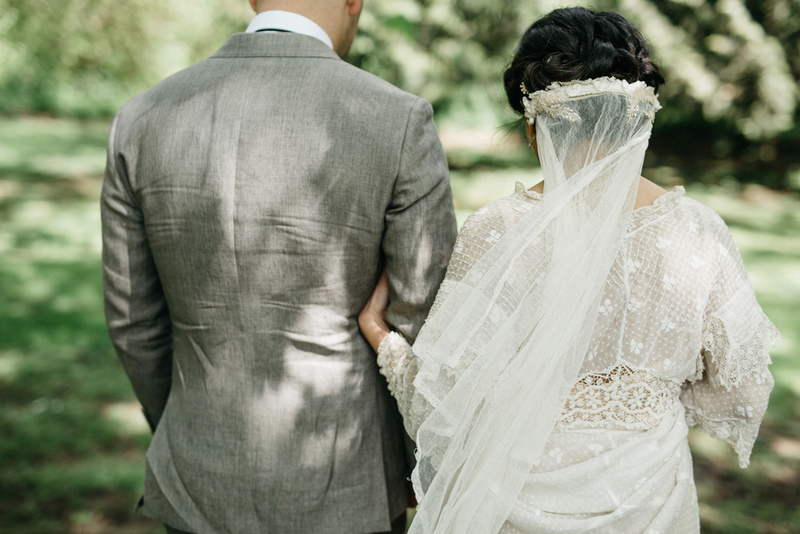 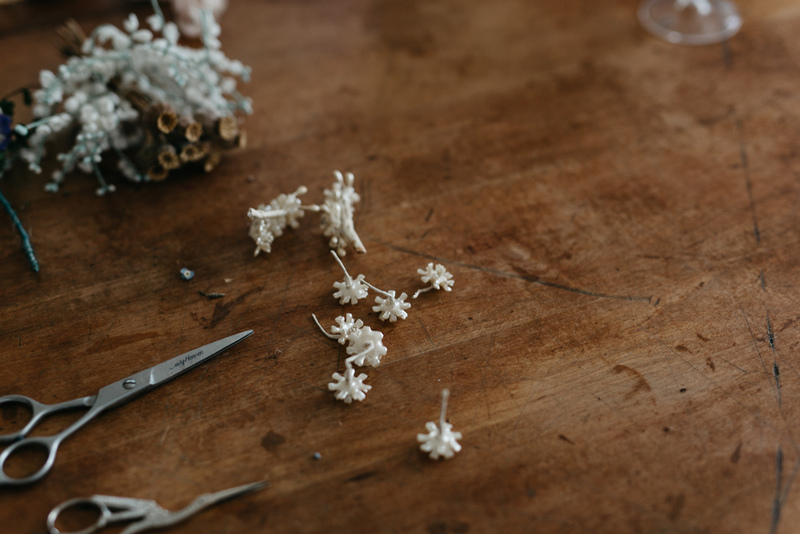 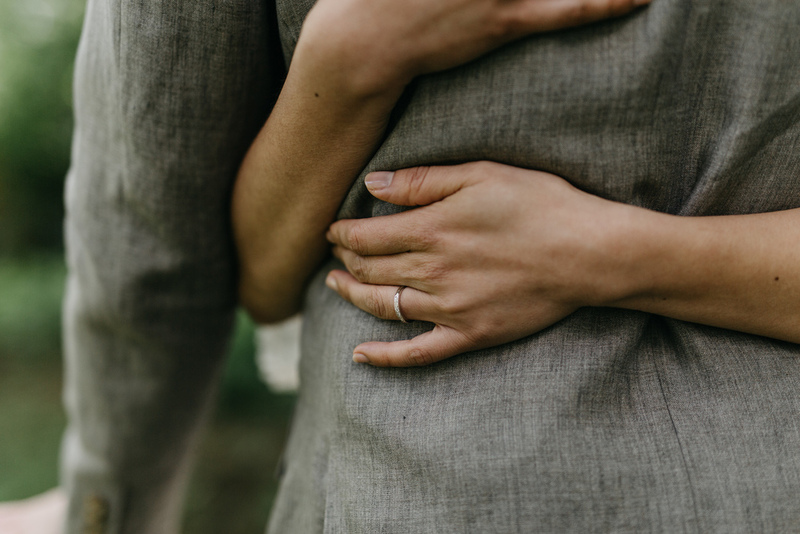 In one of her first emails, Rodellee described her wedding as having an "English countryside" feel and I think she managed to pull it off beautifully...although the details were simple, they were thoughtful and well put-together. 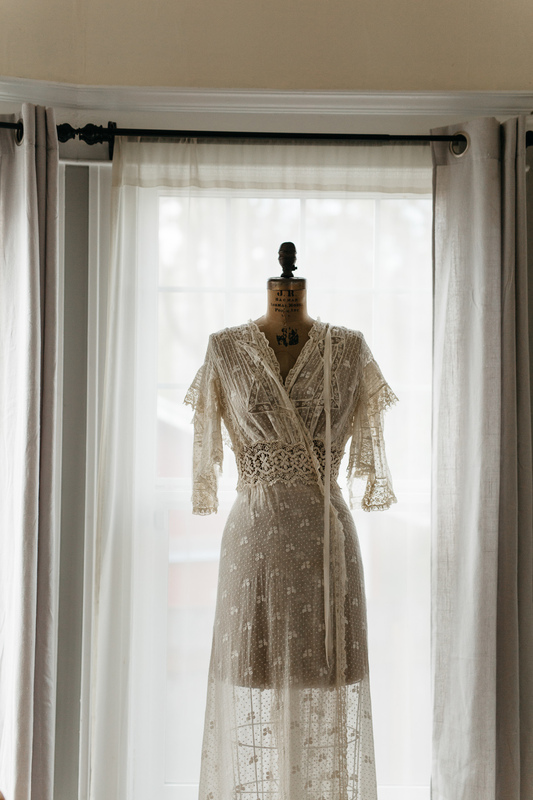 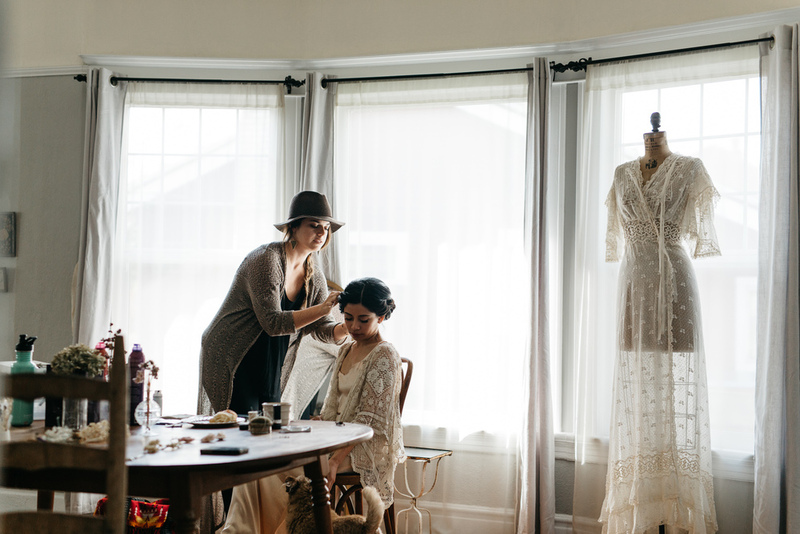 As the owner of the vintage shop, Adored Vintage, it was only fitting that she restored her dress and viel from the early 1900's herself. 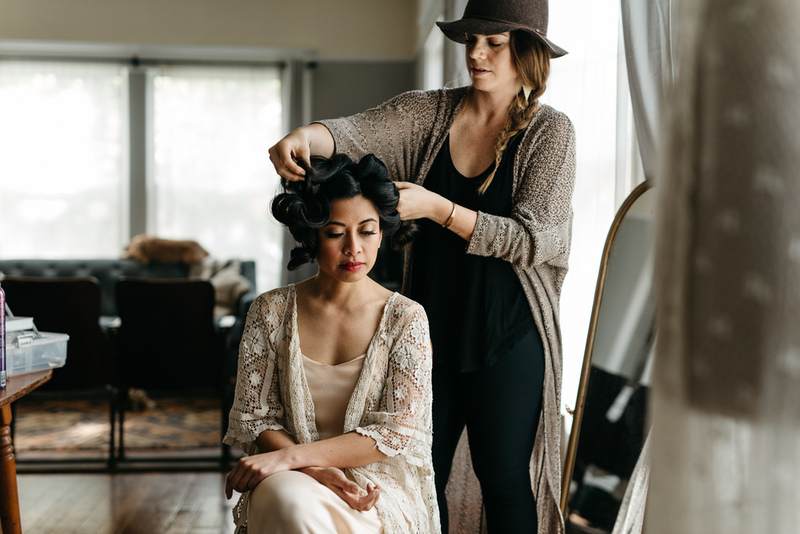 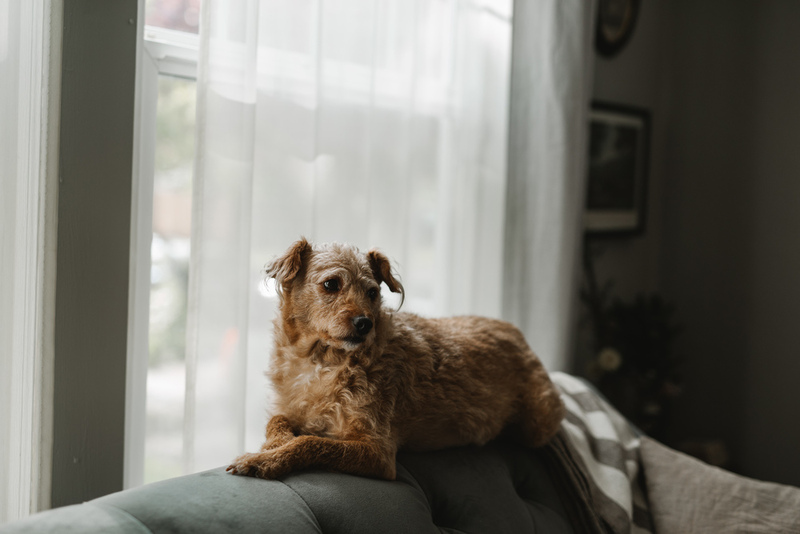 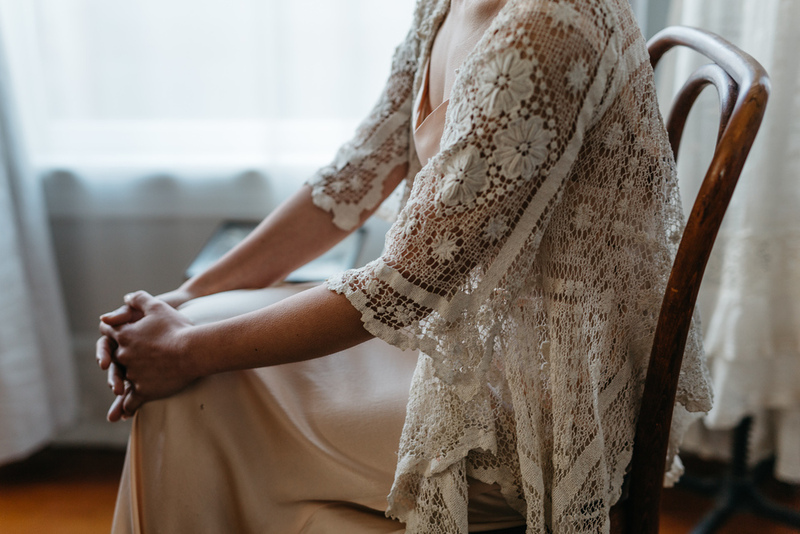 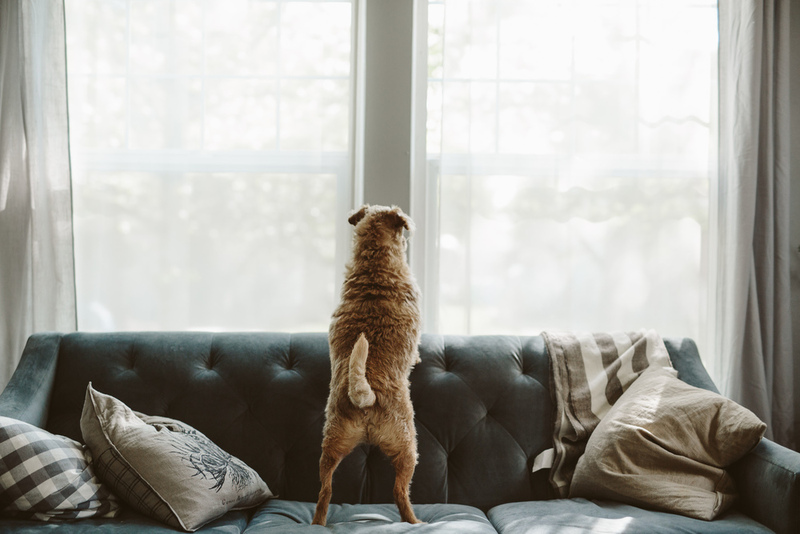 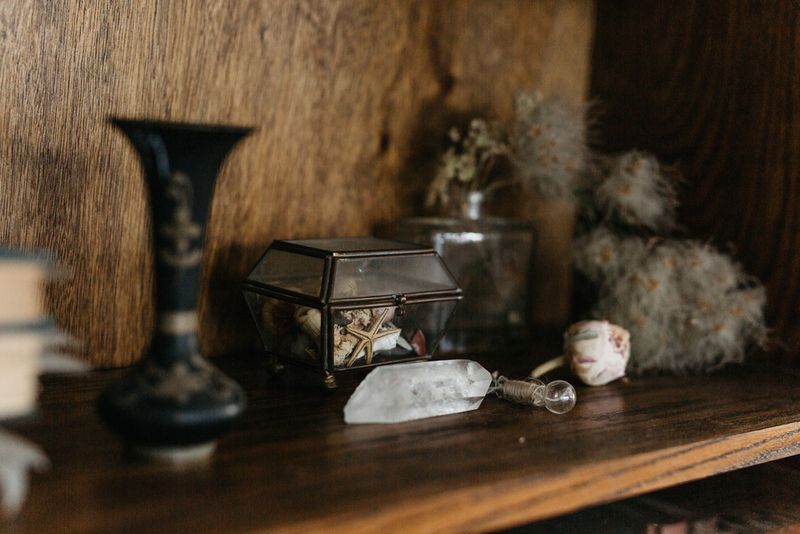 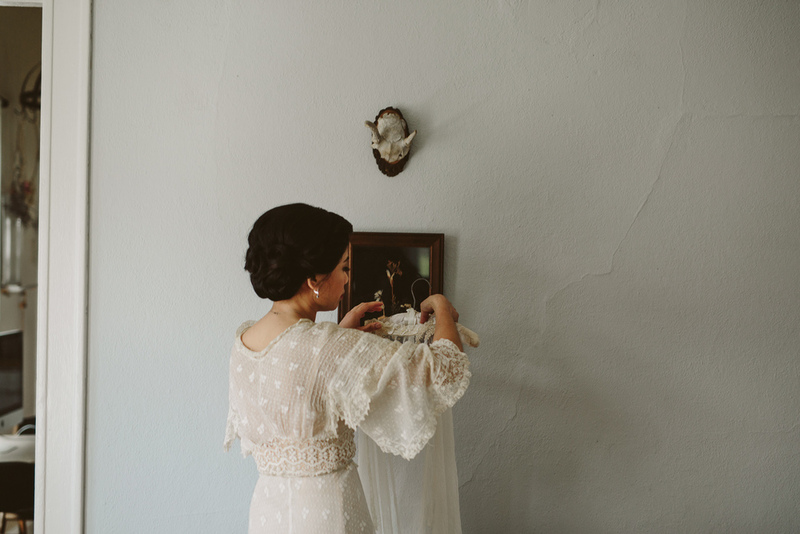 Rodellee got ready with her friends in the home that she and Robby share, and I loved that it was somewhere meaningful to them, yet also beautiful , as they both have an eye for style. 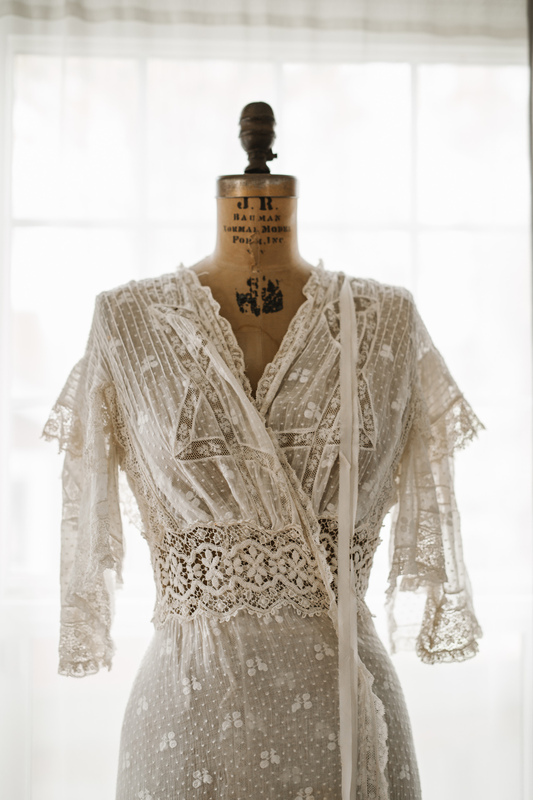 Not only is Rodellee the owner of Adored Vintage, Robby owns the Portland shop Orn Hansen. 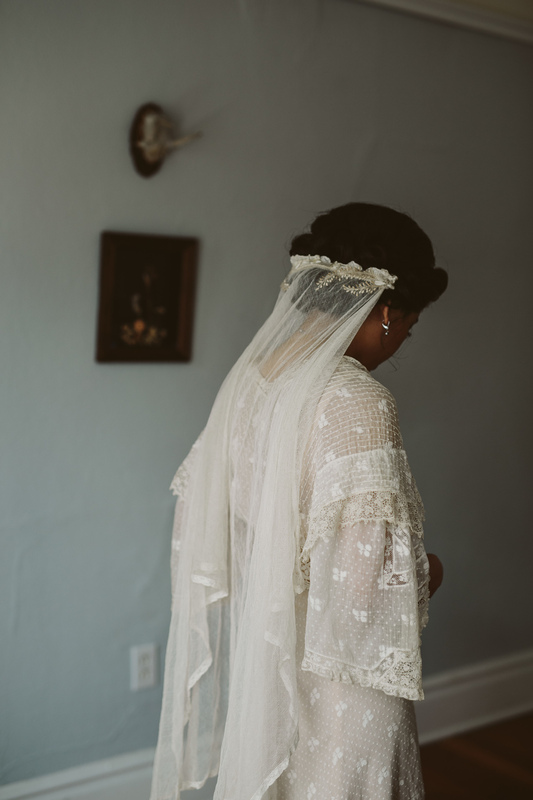 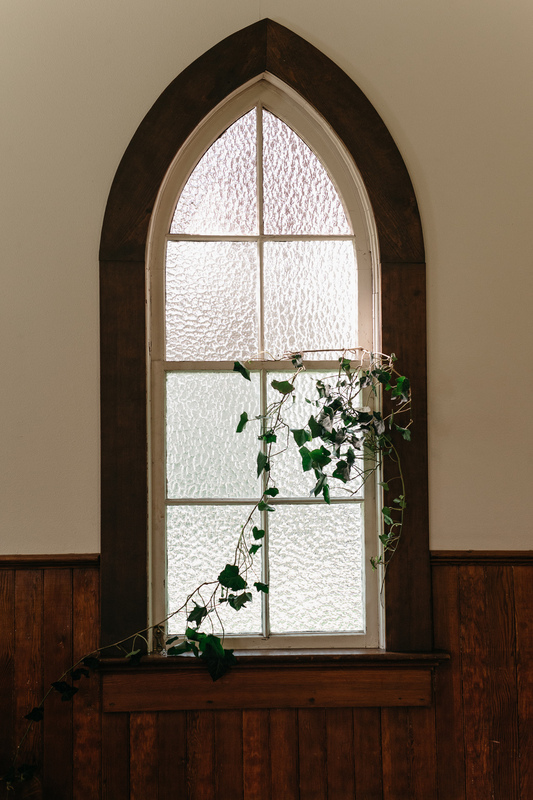 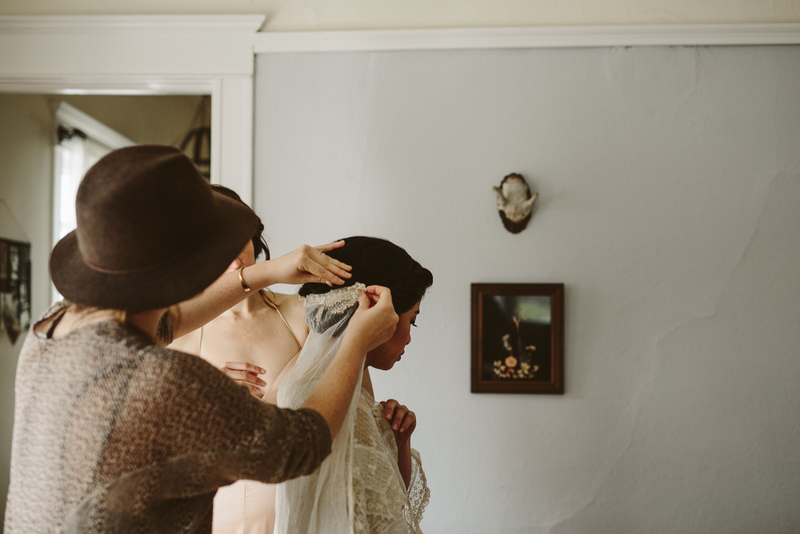 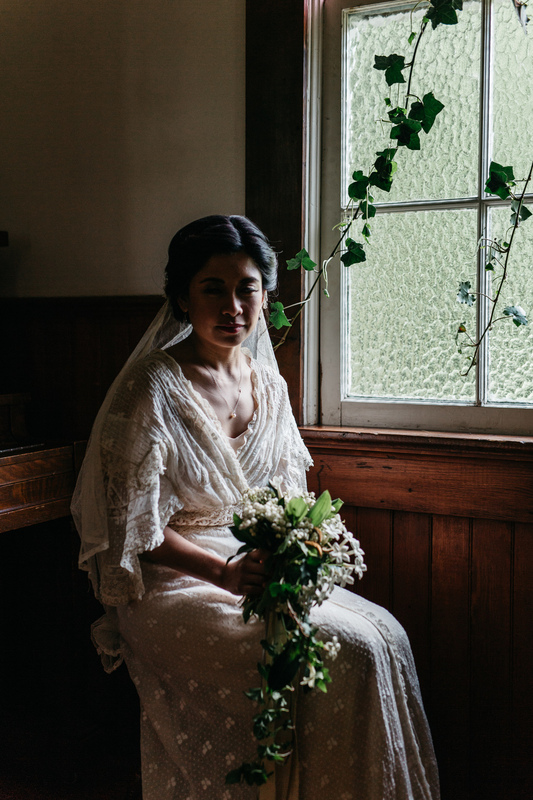 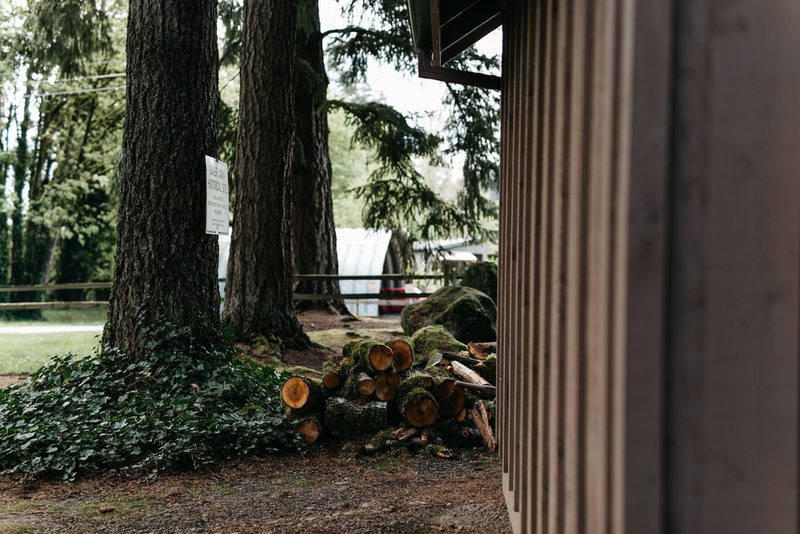 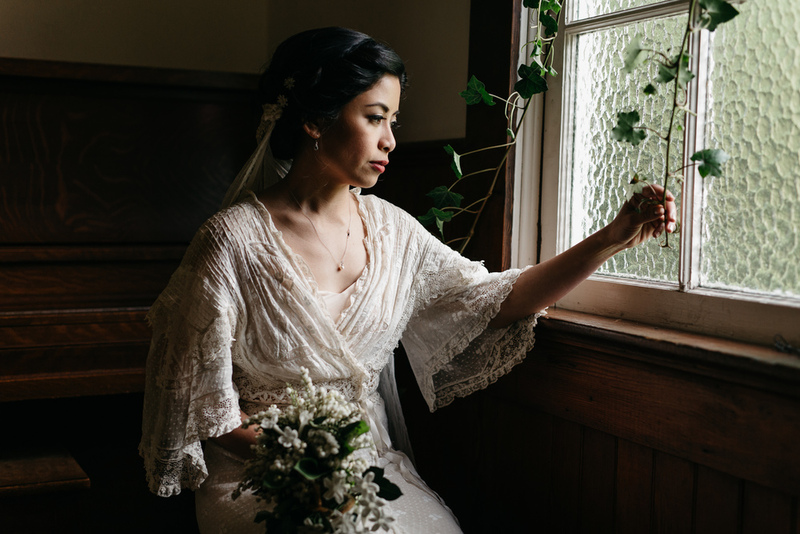 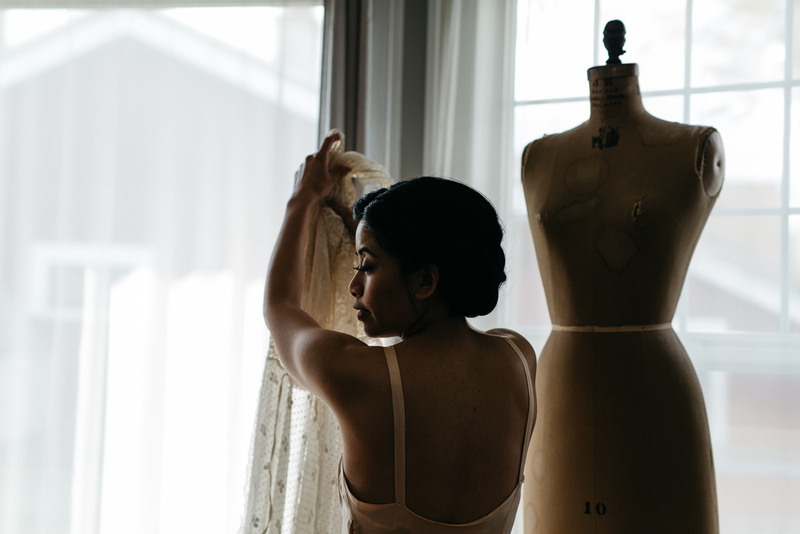 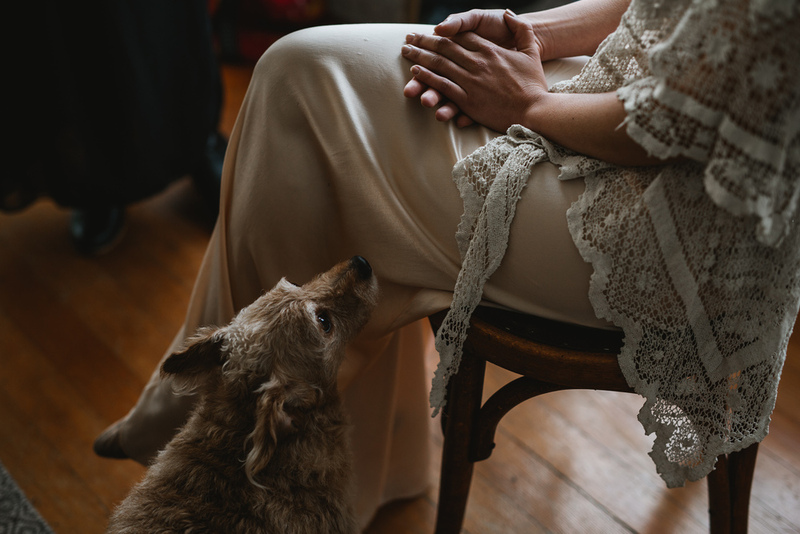 After we made our way to the church, Rodellee waited in the bridal cabin until the ceremony. 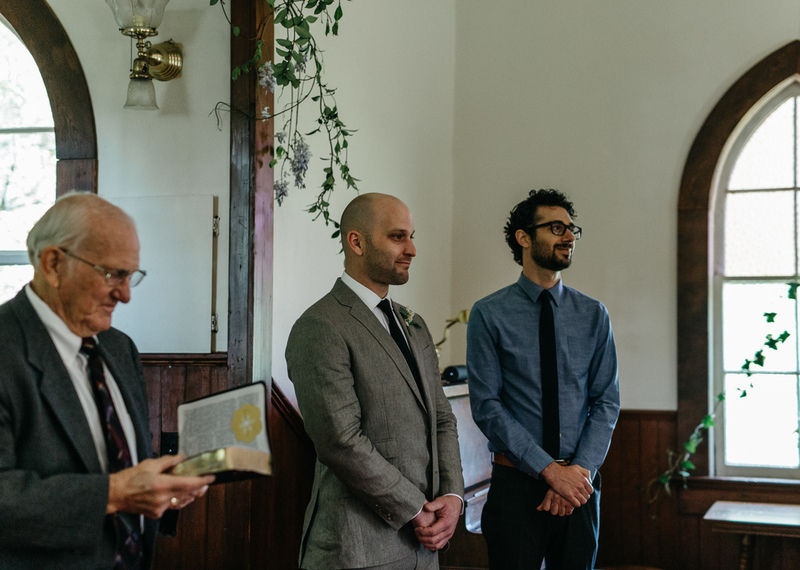 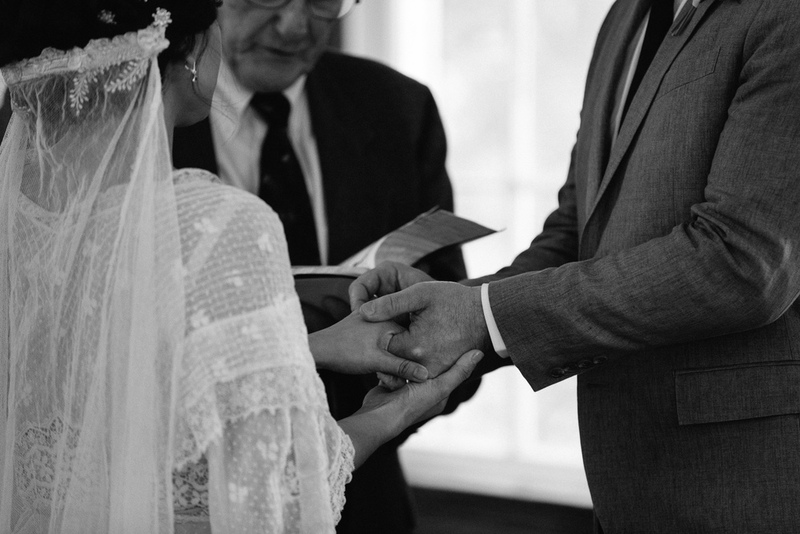 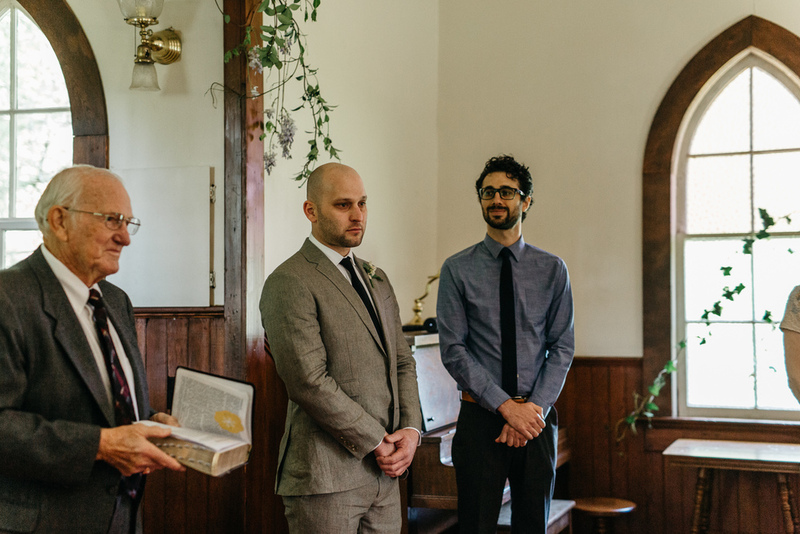 There was a soft feeling of expectation hanging in the air, but as soon as the ceremony was over and the two exited as husband and wife, it was gone, only to be replaced by a feeling of sheer joy. 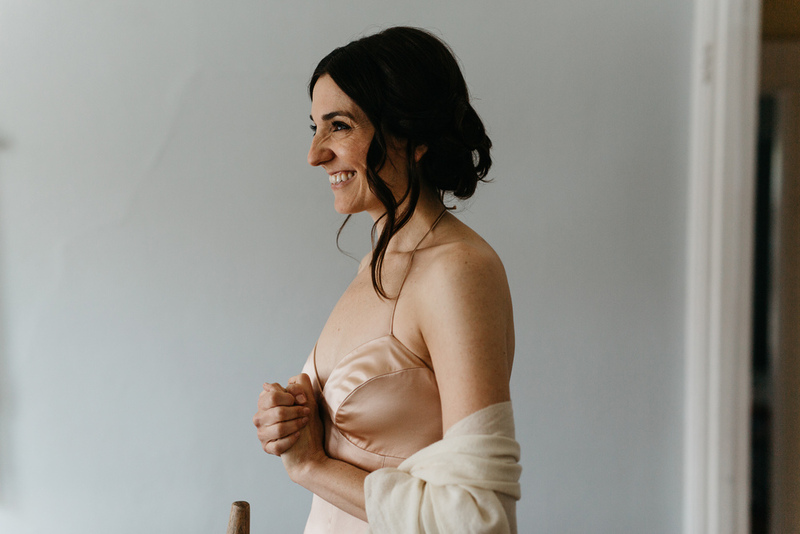 I love being able to capture authentic connections, and when couples let their guard down and share their story, I am able to do just that. 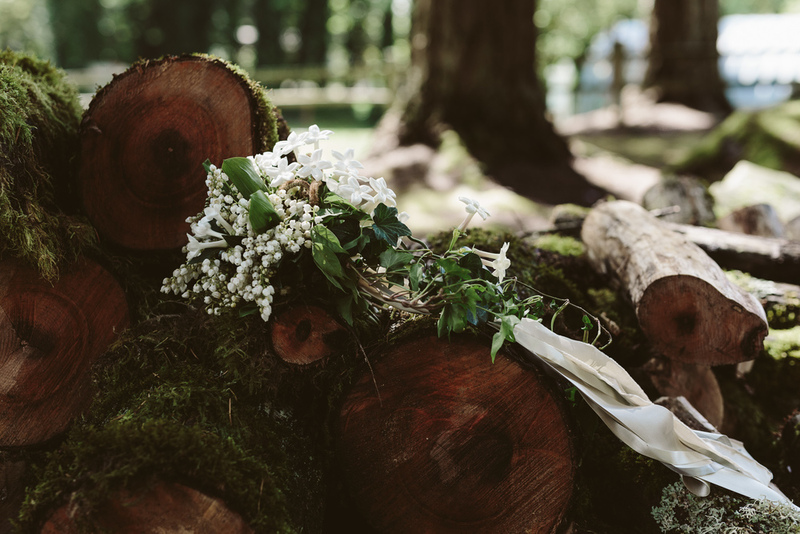 Ponderosa and Thyme crafted the florals and the wisteria garland for the ceremony. 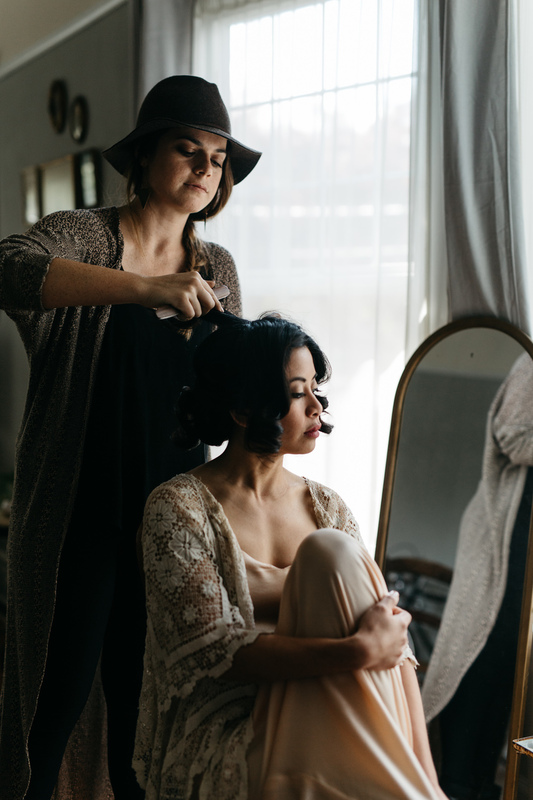 She is truly a talent. 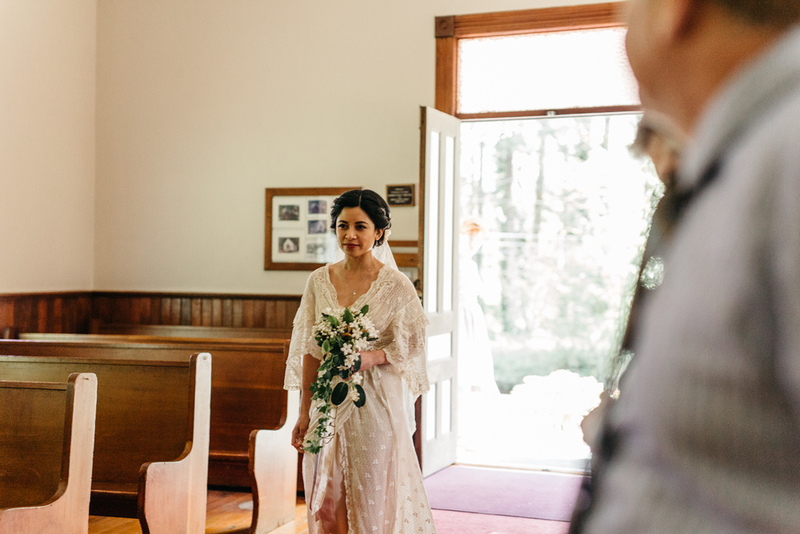 Press play--this was the processional at the wedding and I LOVED it.